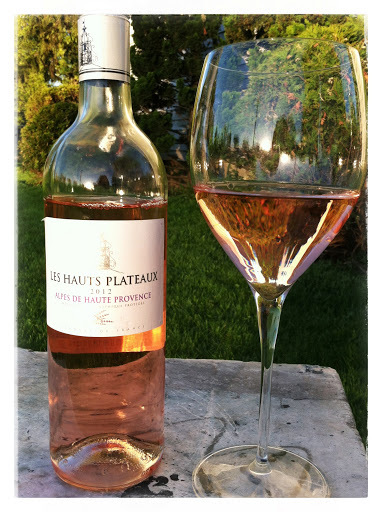 Les Hauts Plateaux is an independent domain under the aegis of Vins Breban [The House of Breban Wines]. Founded in 1952 today Vins Breban is headed by Jean-Jacques Breban, with the third generation already taking the reins in regards to expansion and perpetuating the family’s philosophy and commitment to Provence wines. With an “absolute respect for nature” and focus on quality and authenticity, Vins Breban relies on its partnerships with more than 20 independent domains in order to produce a wide range of wines. The grapes for Les Hauts Plateaux were sourced from “environmentally friendly” hillside vineyards located on the right banks of the Durance and Verdon Rivers. Pale coral in colour, aromas of fresh peach and minerals rose from the glass. Strawberry and pink grapefruit flavours comprised the light body, whilst citrus zest and energizing minerals developed the dry, crisp finish. Refreshing and easy drinking, this is a fantastic value wonderful for summer sipping.